Who says football watch parties require the same ol’ chips and dip? Why not class things up a bit with some good cheese, like brie? For a long time, I shied away from brie not because I didn’t like it but because I thought it was snooty. Then I tried it and I was hooked! It’s so delicious and goes with EVERYTHING! Kayla and I developed this recipe when we were prepping a few dishes for our holiday recipe brochure (watch out for it, it’s too good to pass up!). It’s easy and super delicious. Normally you use butter to caramelize brown sugar, but coconut oil not only has a higher smoke point – it’s also free of sodium and cholesterol. So put your pinkies up and enjoy your new game day favorite. Can you say delicious? 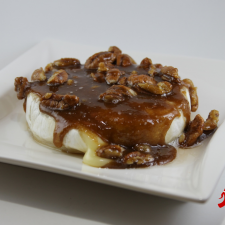 Make this quick and easy appetizer and you'll be the party favorite. Bake brie for 10 minutes until warmed thoroughly. 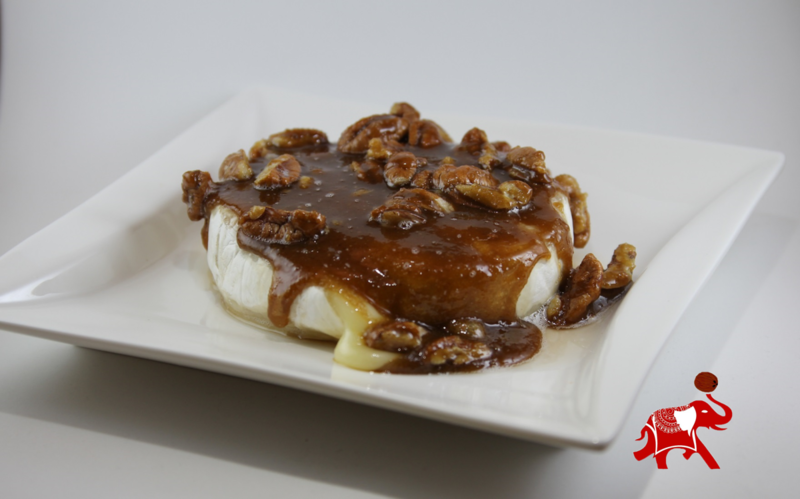 Remove brie from oven, place on serving plate and pour pecan mixture over cheese. I do suggest leaving the cheese on a warming plate – since the coconut oil can harden up if it gets above 76 degrees. If this happens, just throw it back in the oven for a few minutes and everything will be as good as new. Trust me, this will please any crowd. My fiancé just about ate the entire wheel once we were done cooking! Need other great game day ideas – try Sebastian’s favorite appetizers.